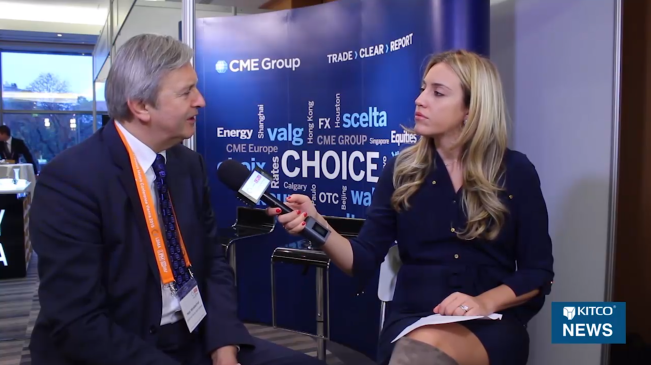 More false arguments – that should explain the difference between Shanghai Gold Exchange (SGE) withdrawals and Chinese gold demand as disclosed by the World Gold Council – are being spread in the gold space. 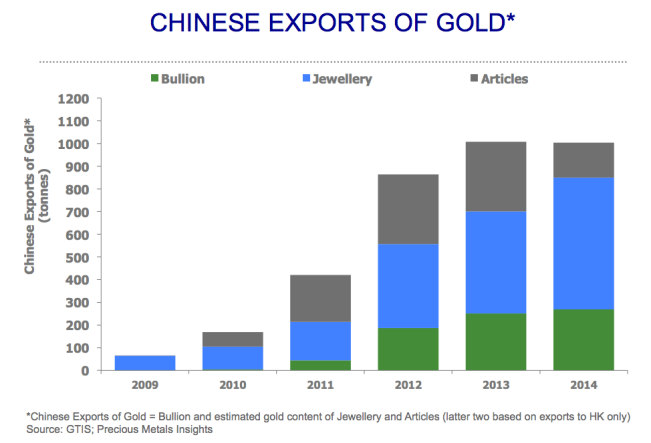 The most recent argument is gold export from China. 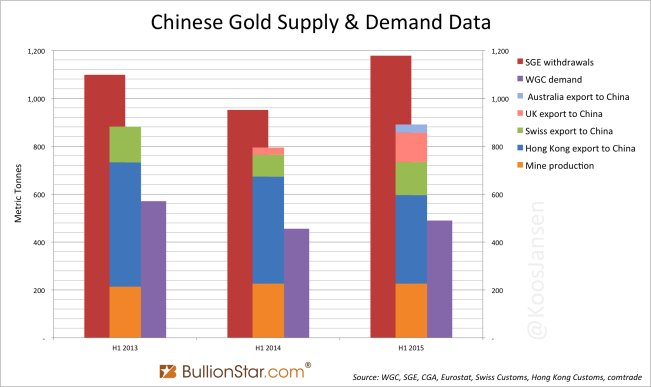 Since 2013 I’ve been writing the World Gold Council (WGC) is grossly understating Chinese gold demand. The aggregated difference between SGE withdrawals and WGC demand from 2007 until 2014 is 3,354 tonnes. 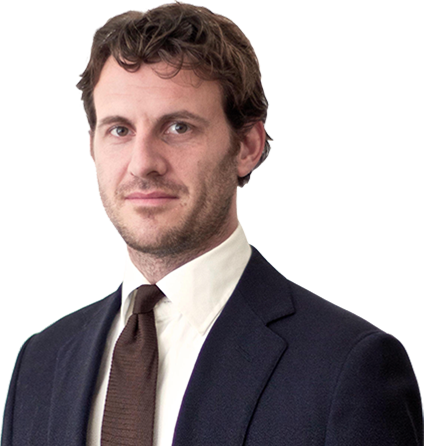 Though many arguments have been tested the Western consultancy firms have not been able to elucidate the difference – illustrated by the fact many new arguments keep appearing. 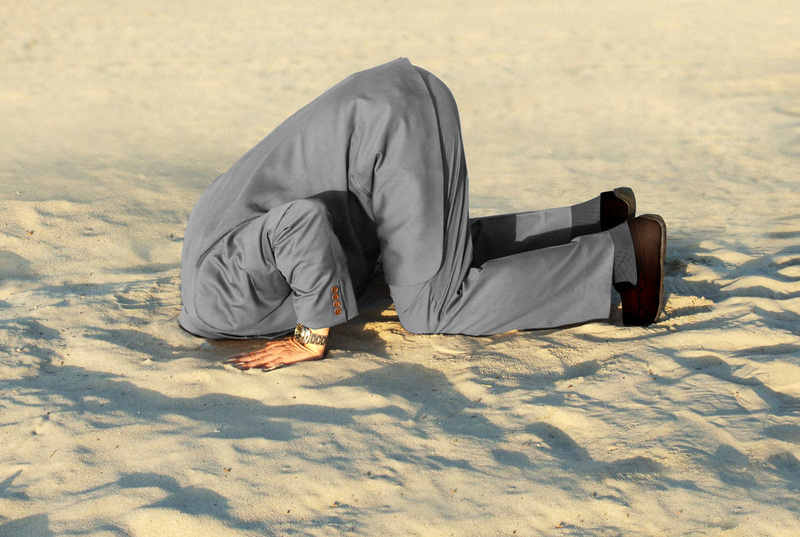 Please make sure you’ve read The Mechanics Of The Chinese Gold Market. In a previous post I’ve expanded on Chinese gold trade rules (click this link to read a detailed analysis). All we have to do now is refresh our memory and have a look at what Klapwijk said in London. There is no transcript of his speech, but Lawrie Williams from Mineweb.com has written an article about Klapwijk’s argument regarding gold export, I assume Williams has reported accurately or Klapwijk wouldn’t have tweeted a link to the article. The slides from the presentation can be found on the PMI website. 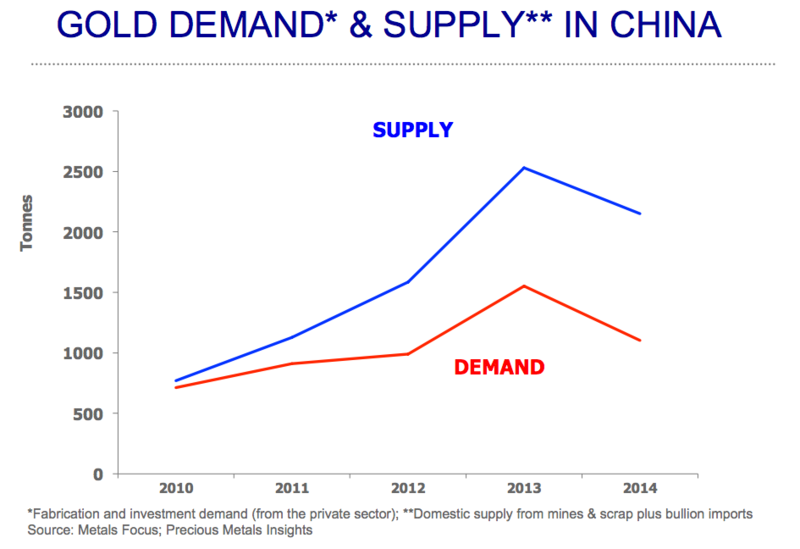 Klapwijk’s argument: gold is exported from China mainland, which explains the difference between SGE withdrawals and WGC demand. 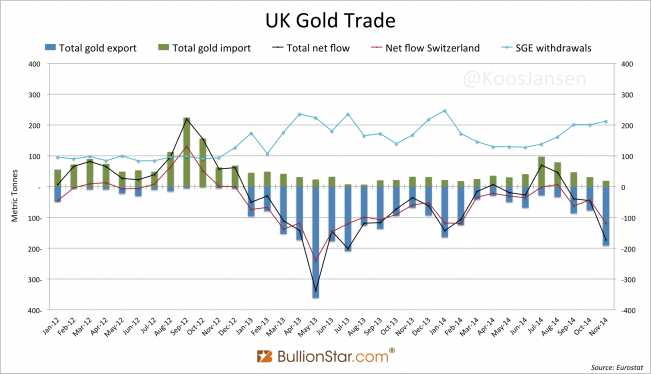 …Indeed he [Klapwijk] asserts that this [gold export] has been happening in sufficient quantity to cover virtually all the imbalance between SGE figures and those of the Western analysts over the past two years. 1) Chinese gold export has got nothing to do with SGE withdrawals as gold is only allowed to be exported from Free Trade Zones, which are separated from the Chinese domestic gold market (the SGE system). It’s prohibited by the PBOC to export gold from the Chinese domestic gold market. 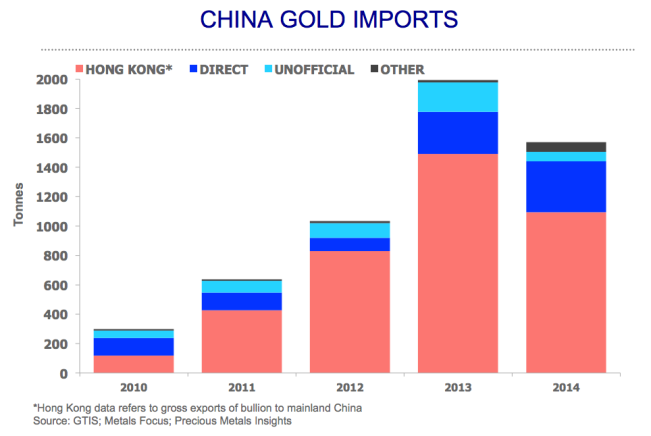 Gold export from China to Hong Kong is nothing new, in contrast to Williams’ headline. 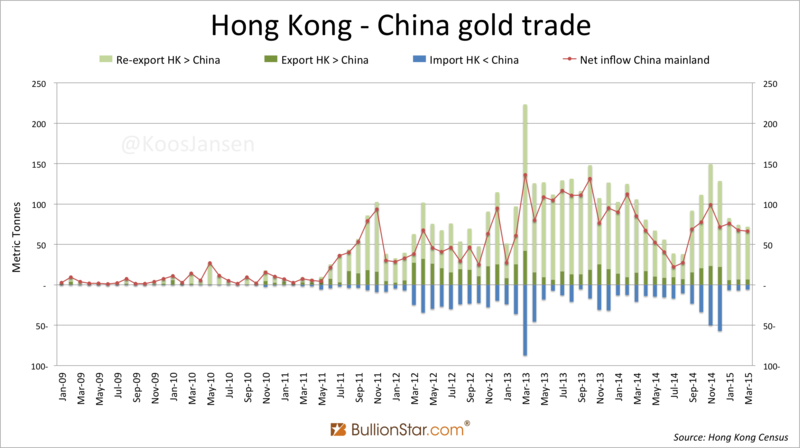 Since I’ve been publishing data and charts on gold trade between Hong Kong and China I’ve always included gross import and export. Not only are these figures well known, it’s also well known gross gold trade between Hong Kong and China has got nothing to do with the Chinese domestic gold market and the SGE system. 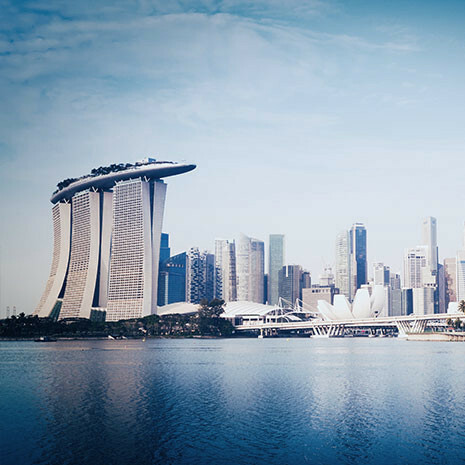 Gold can only flow in and out of the mainland through processing trade in Free Trade Zones, such as Shenzhen right across the border with Hong Kong. What is net imported into the mainland is done through general trade; this gold is required to be sold first through the SGE. The PBOC does not allow gold to be exported from the Chinese domestic gold market. Gold that is exported from China is always processing trade from FTZs, it’s not gold from the SGE and therefor can’t have anything to do with the difference we’re after. Slide 2 by Klapwijk. Total supply is compounded by gross import, mine output and scrap supply. 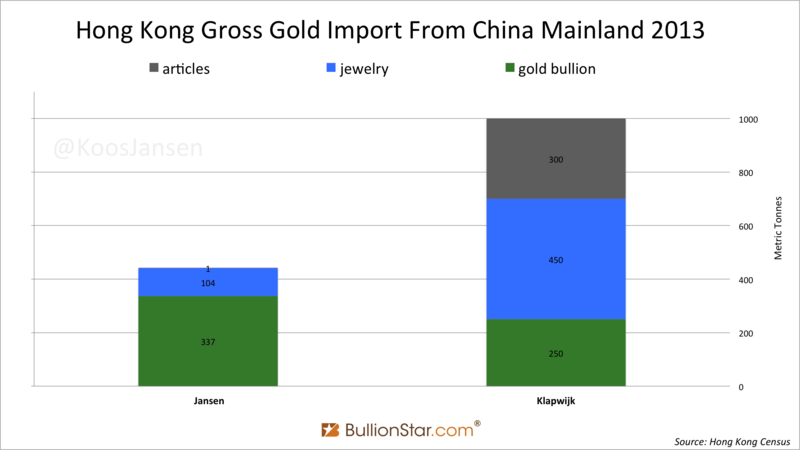 It’s pointless to measure total Chinese gold supply by Chinese gross import like Klapwijk does. Gross import has got nothing to do with the Chinese domestic gold market and Chinese gold demand. Additionally, Round tripping inflates gross gold trade. Round tripping is always done through processing trade; speculators import and export gold from FTZs (usually between Hong Kong and Shenzhen). Because gold used in round tripping can make more than one round – the same batch of gold is imported and exported over and over again – Hong Kong/China gross trade data captures far more gold than is used for genuine processing trade (jewelry fabrication). For example, if 50 tonnes are round tripped 6 times, gross import and export are inflated by 300 tonnes, though nothing has been net imported into the Chinese domestic gold market. China net imported 1,540 tonnes in 2013. The exact number for 2014 has not yet been published, my estimate is 1,250 tonnes. …the China/Hong Kong border has been pretty porous, with very big movements of gold bullion, much in the form of very low mark-up jewellery and artefacts, from Mainland China into Hong Kong. The low mark-up artefacts are just round trip products in my opinion. They certainly are not smuggled SGE bars. Let me describe an example of how gold between Hong Kong and the mainland flows: gold bullion is exported from Hong Kong to Shenzhen, then the bullion is manufactured into jewelry and exported back to Hong Kong where thousands of jewelry shops are located (genuine processing trade). 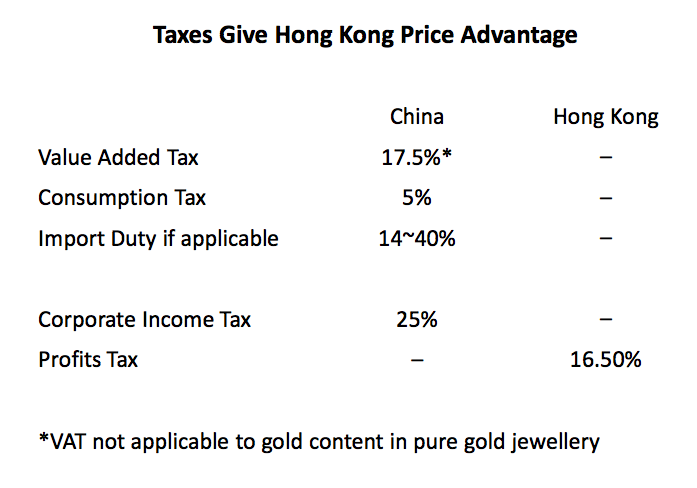 In Hong Kong consumer prices for jewelry are significantly lower than in the mainland because of tax rules, as we can see in the next slide from Chow Sang Sang Jewelry. Slide 3 by Chow Sang Sang. 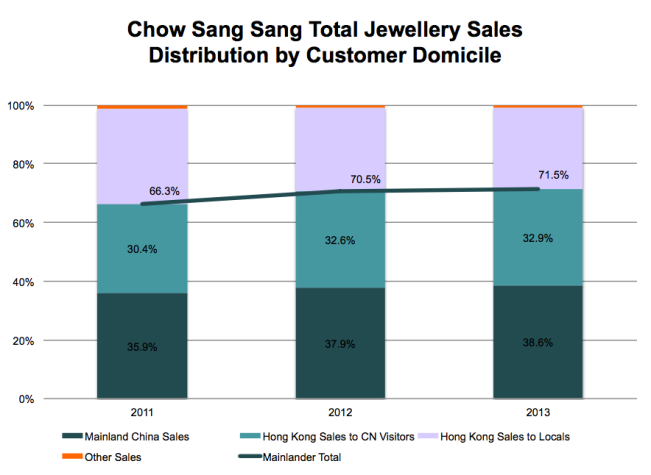 As a result, many mainland tourists visit Hong Kong to load up on jewelry and return home. It’s common knowledge mainland tourist can walk across the border without having to declare gold jewelry. Chinese customs at the airport is very stringent on the export side, not on the import side (into the mainland). Slide 4 by Chow Sang Sang. Mainland tourists buy roughly half of Chow Sang Sang’s gold products in Hong Kong. So, bullion flows from Hong Kong to the mainland, then back to Hong Kong as jewelry and then it’s ‘smuggled’ into the mainland by tourists. No doubt gold is also smuggled from China to abroad, but I have no data on this. 3) Klapwijk greatly overstates Chinese gold export numbers. Let us turn to another slide compiled by Klapwijk. Slide 5 by Klapwijk. The data is based on Hong Kong Trade statistics. Although it has got nothing to do with SGE withdrawals, in the slide above it’s shown China exports 1,000 fine tonnes every year based on Hong Kong customs data. Needless to say, I fully disagree; let’s do some number crunching. 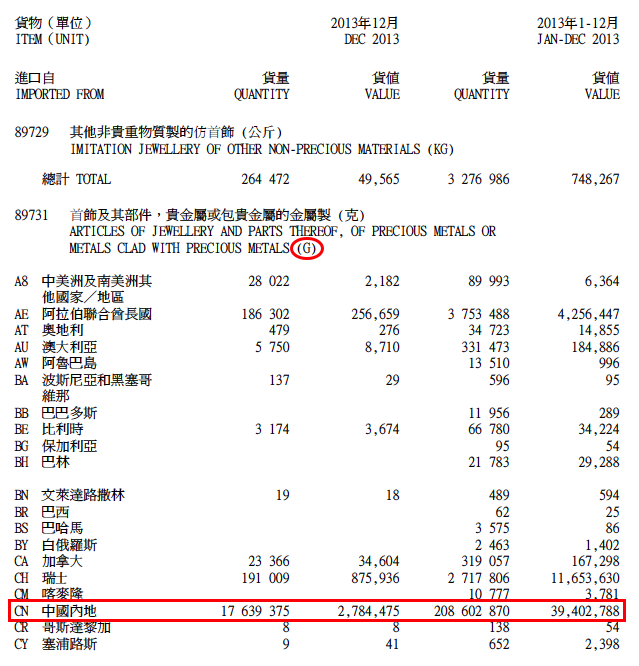 If I check the numbers on bullion, jewelry and articles from the Hong Kong Census and Statistics Department in 2013 I get totally different results (source import data, source export data). The next chart is based on my calculations and estimates from looking at Klapwijk’s previous chart. Jansen’s data is based on the assumption all jewelry imported is pure gold (no gems) and the value excludes fabrication costs. Quite some discrepancies. 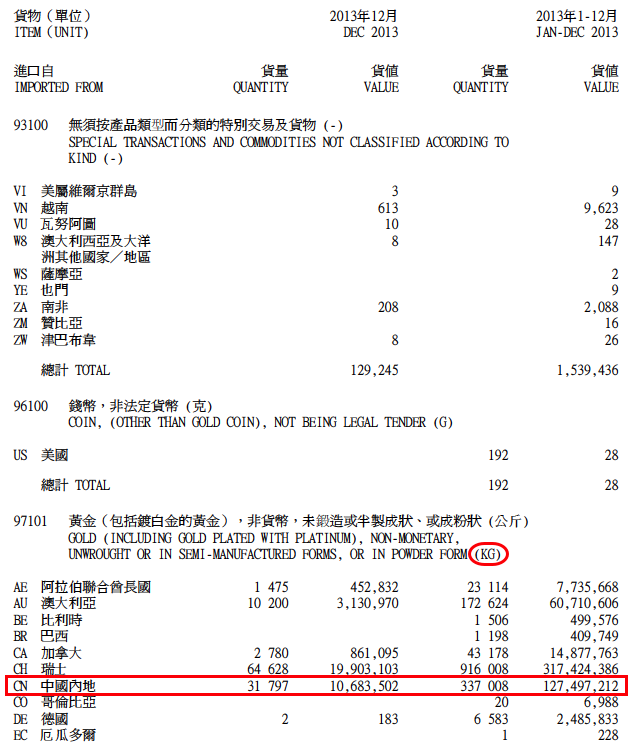 For the amount ‘gold bullion’ traded have a look at a screenshot from the Hong Kong Census report below. 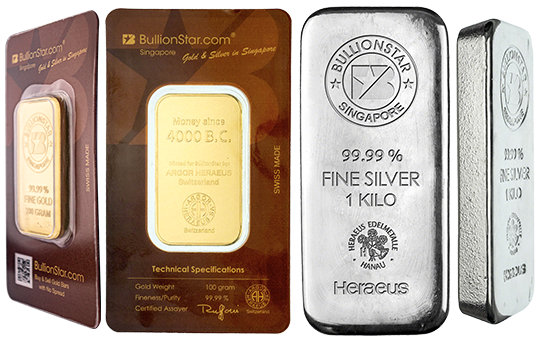 It’s disclosed Hong kong imported 337 tonnes of bullion from China in 2013 – the disclosed value matches this tonnage. I don’t see how Klapwijk can come up with 250 tonnes. The value is in ‘000 HKD. Moving on to jewelry. 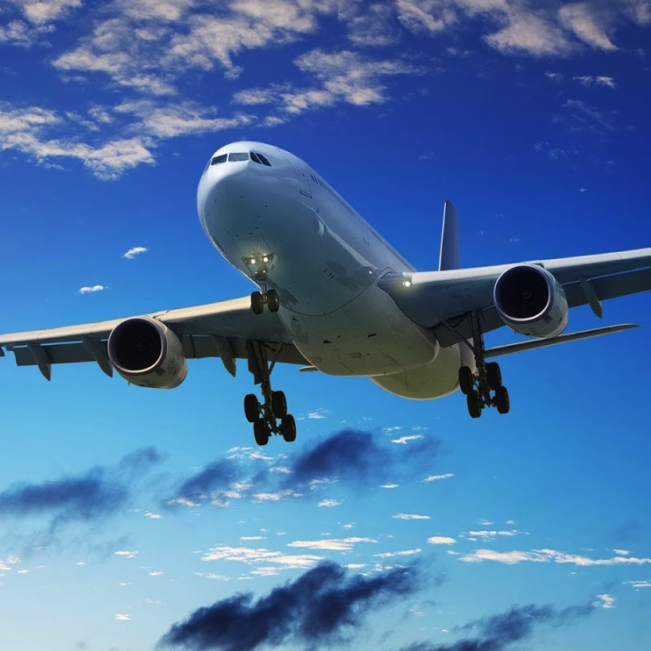 After scanning the customs reports there was only one item I could find that can be used: “ARTICLES OF JEWELLERY AND PARTS THEREOF, OF PRECIOUS METALS OR METALS CLAD WITH PRECIOUS METALS (G)”, code 89731. Below you can see a screenshot. Because the weight is in GRAMS, not in KILOGRAMS as is ‘gold bullion’, the total tonnage is 209 metric tonnes. The total value is 39 billion Hong Kong dollars (HKD). The description of this category tells us the jewelries are made of ‘precious metals’, which can be gold, silver or platinum, it’s impossible to know exactly how much gold content is in the jewelry. 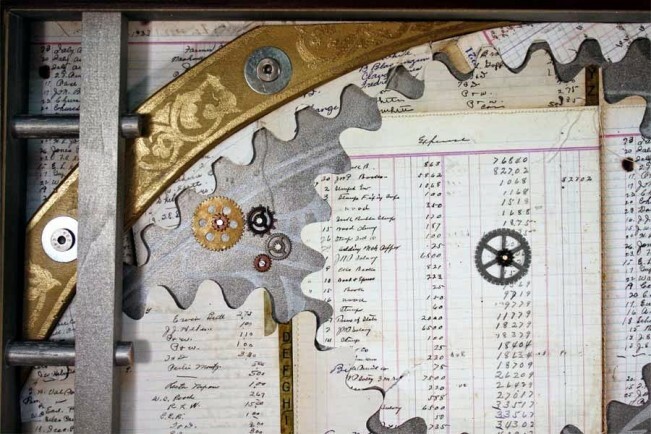 Additionally, the total value includes gems and fabrication costs. 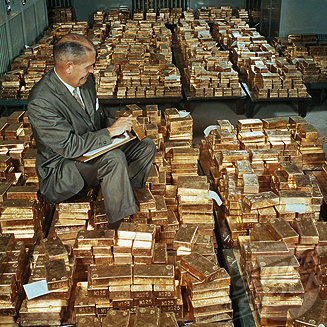 If we deny silver, platinum, gems and fabrication costs and compute the total value to fine gold tonnes, the outcome is 104 tonnes (at a USDHKD exchange rate of 7.75 and a gold price of 1,500 USD). I don’t see how Klapwijk can come up with 450 tonnes. Same story for articles, I get 1 tonne in contrast to his 300 tonnes. If someone can tell me what categories in the Hong Kong customs reports do capture a few hundred tonnes of fine gold I would be happy to change my numbers. Until then, China does not export 1,000 tonnes of gold to Hong Kong every year. If the argument is, gold is smuggled out of China and doesn’t appear in Hong Kong trade statistics, that’s another story. In 2014 gold was trading at a small discount on the SGE relative to international prices for substantial periods, this could have triggered smuggling. But, in this scenario SGE bars (bullion) would have crossed the border with Hong Kong, not low mark-up jewelry and artefacts.